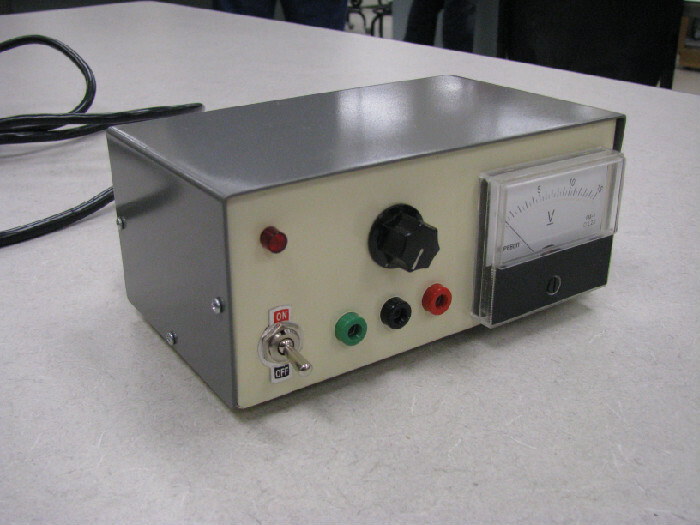 Every MECH-14 student designs, builds and keeps a variable DC power supply similar to this one. 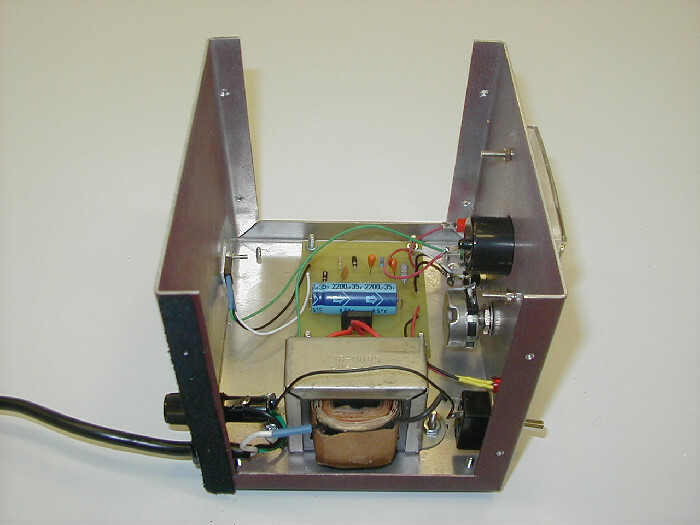 A view of the insides of a MECH-14 student project. 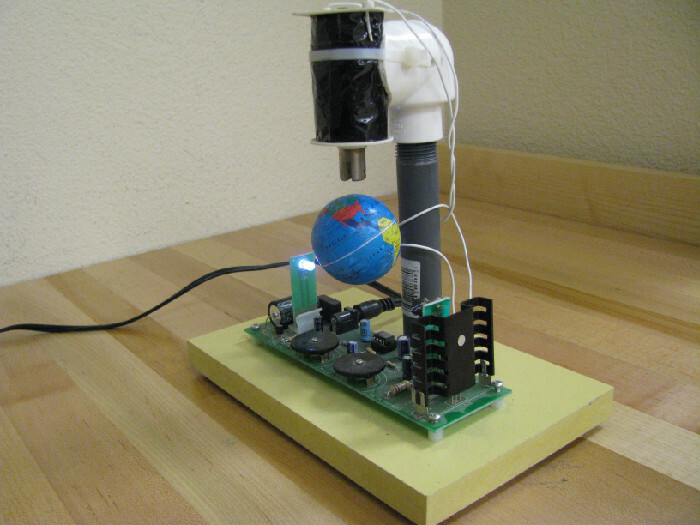 All of our MECH-10 students build and keep a magnetically-levitated globe project. Besides being very cool, it teaches multiple key electronic control principes. 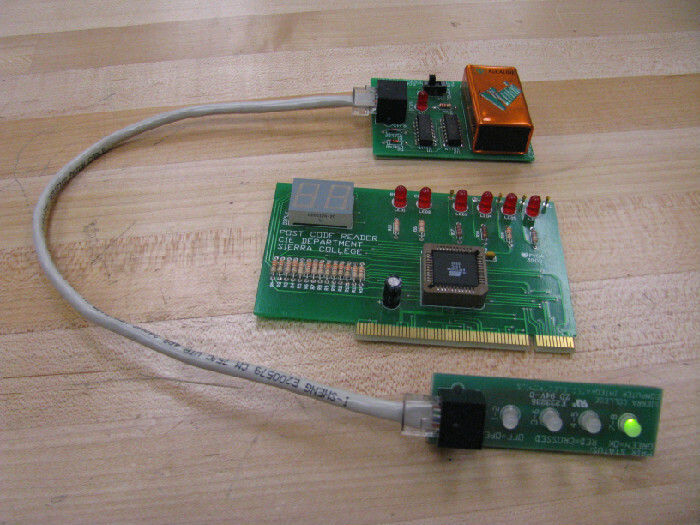 All of our MECH-25 students build and keep multiple projects such as this Ethernet cable tester and PC "POST code" reader. 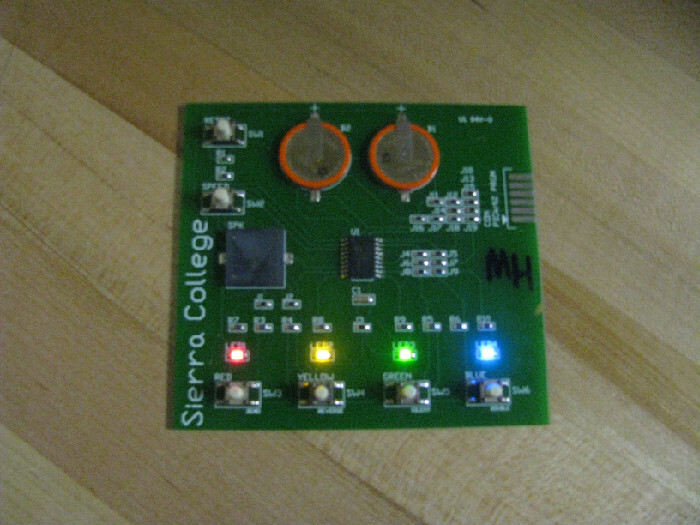 Students learn surface-mount soldering by building and keeping a microcontroller-based "Simon"-type handheld game. 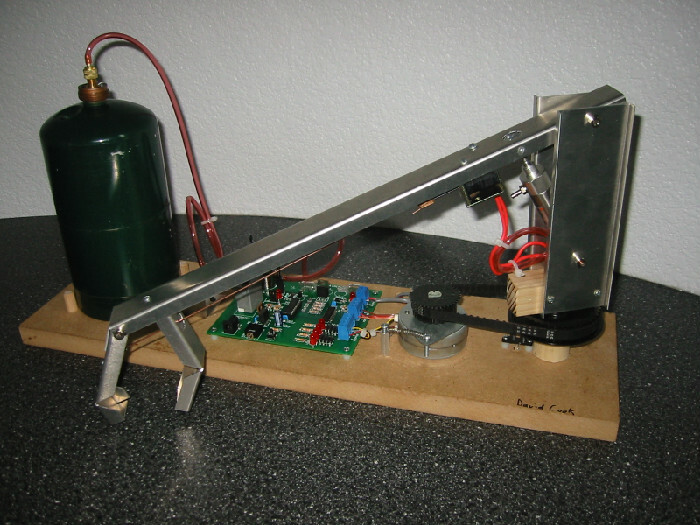 Every MECH-44 students builds and keeps a small robot arm similar to this one.